Have you ever Googled yourself or your business to see what information appears? If you haven't, it might be worth taking a look, as this is what your potential customers will be doing. When you consider that what others can find out about you and your business online may be the difference between gaining or losing a potential customer, it is important that you ensure your online presence reflects you in the best possible light. If you have ever been asked ‘Do you have a website?’ before, you will know that having a notable website address is of the utmost importance and a vital tool in building your online presence. Whilst many website building services offer domain names as part of their free subscription options, these will often be lengthy, often ubiquitous, and above all, unmemorable. When it comes to instantly engaging with your customers, your domain name should be concise, relevant and unique to your business. This is especially significant when you consider your overall branding. Think about how you will fit your domain name onto a business card; ideally domain names with 6-17 characters are optimal (not including www. or your chosen suffix). Even if you don’t already have a website, it is worth investing in your perfect domain name now, before anyone else snaps it up. If you need help finding the perfect domain name for your business, get in touch with Applebox Designs. Secondary to your domain name, you should also set up a dedicated business email address. Whilst free services like Gmail, Yahoo! Or Outlook are a great way to interact with friends and family, if you have a domain name, you should be utilising the option to have a personalised email address. When you are interacting with your customers, a personalised email address will project your brand and enable you to separate your personal emails from your business accounts. The industry standards include contact@ or info@, but if you want to be a little more creative, how about hello@ or yourname@ for a personal touch. If you need help setting up your business’ personalised email address, get in touch with Applebox Designs today. It is highly likely that many of your potential customers will find you primarily via social media, where first impressions count (you’ve heard the phrase ‘The internet is forever’...). What we post online via our social media channels for our family and friends, isn’t always what we want our potential customers to see. Do you still have that old embarrassing Myspace account? Have you checked your privacy settings on Facebook lately? For the same reasons that it is a good idea to have a seperate email address for your business, making sure you also separate your personal and business social media accounts is a must. This will enable you to project a professional image to your customers, allowing you to post only what relates to your business. If you need help setting up your social media account, get in touch with Applebox Designs today. When you are showcasing your artwork or products to the world online, your photographs will be the first point of reference for your customers. Whilst you may not be a professional photographer, taking great photographs doesn’t need to be complicated. Most smartphones will enable you to not only capture, but also edit your photographs too, allowing you to post them on social media without even utilising any complicated computer software. Think about lighting (natural is always best) and representing your work from different angles. Take lots of work in progress shots and document your workspace for interesting supplementary visuals. Keep the quality and standard of your photography high, and your customers will connect with your work and the experience you are highlighting. To find out how Applebox Designs can help you showcase your work, get in touch for a quote today. When your customers search for your business (whether it is on social media or via a search engine), your branding should be consistent and on point wherever they may find you. Keep your business name at the center of your branding by creating social media accounts with clear and matching usernames. Use the same colour schemes and fonts to project a uniform brand. Think about your brand tagline, and implement a consistent statement across all of your online presence. Use relevant hashtags that are related to your industry in all of your posts. When your visitors look at your website, social media, printed promotional literature or even your email signature, they should see a consistency that is instantly recognisable to your business. Establishing a professional universal brand will increase your customer’s confidence in your business. Do you need help with your branding? 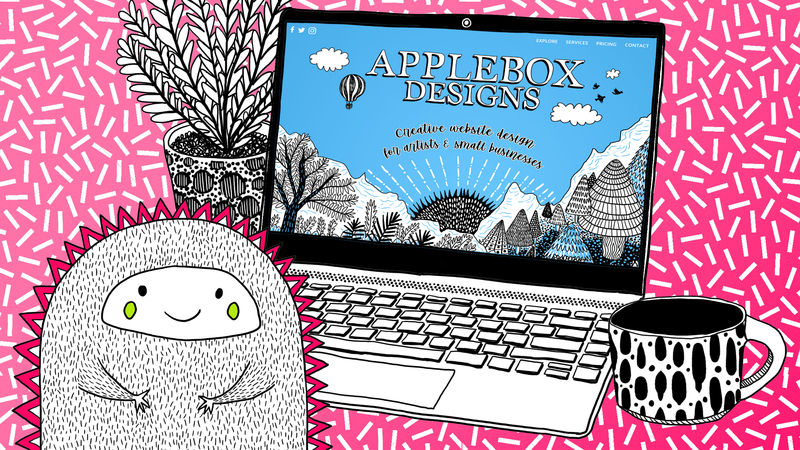 Get in touch with Applebox Designs for a free quote.